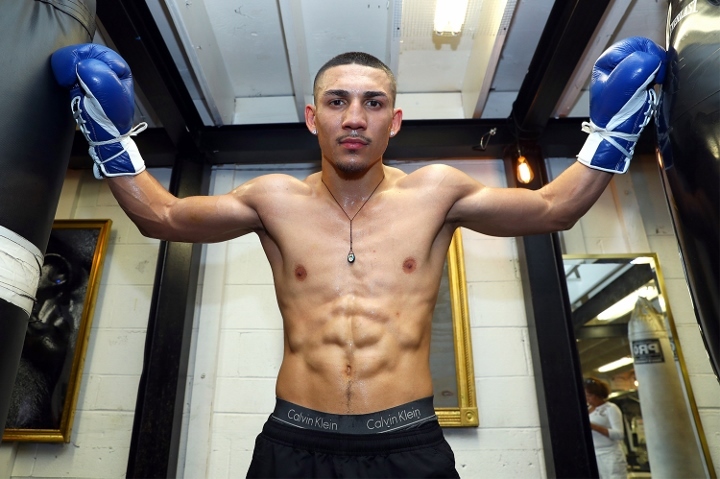 Teofimo Lopez wants to become the 135-pound world champion before invading the 140-pound division in 2020. Whether it’s April 20 at Madison Square Garden, the venue and date of his next fight, or any time of year, he’ll be ready to take the opportunity. After knocking out Diego Magdaleno last Saturday in Texas, Teófimo raised his hand to go for the lightweight title of the World Boxing Council if Mikey Garcia decides to walk away from the weight class. Next month, Garcia will move up by two weight divisions to collide with IBF welterweight champion Errol Spence, Jr. There is talk that Garcia may not return to the lightweight division. Lopez believes that a victory that allows him to capture the WBC world title will position him for a full division unification with Vasiliy Lomachenko, who is still slated to face Richard Commey on April 12th with the IBF, WBO, WBA titles at stake. “I know that this year I’m going to go for that world championship, I do not know what the specific plans of Top Rank and ESPN are, I do not know if it’s in July or December, but we’re ready. If it’s Lomachenko, I’ll be ready, but he should hurry because this year is my last at 135 pounds,” said Lopez (12-0, 10 KOs) to ESPN Deportes. “On the other hand, I’m hearing that Mikey Garcia is not going to return to 135 pounds, I’m willing to fight for the WBC title, and if everything goes well, we could do the unification with Lomachenko, it would be a great fight. For now, he will return to the ring this April 20 at Madison Square Garden in New York, backed by Terence Crawford and Amir Khan.